Amedeo Modigliani is one of the legendary figures who emerged from the art world in Paris at the beginning of the 20th century. Filled with natural panache, he was also an over-enthusiastic consumer of alcohol and narcotics. His erratic behaviour was contrasted with the sensuous nudes and serene portraits that he painted, especially during the last half dozen years of his turbulent life. Modigliani was born into a highly-cultured Jewish family in Leghorn, or Livorno. He was raised with frequent exposure to art, and soon decided that he intended to be a painter. After spending some time studying in Italy, in Florence and Venice, he managed to make his way to that beacon for artists of the age: Paris. He reached the French capital in 1906, and soon immersed himself within the group associated with the Bateau Lavoir, the artists’ colony in Montmartre where Pablo Picasso was based. Modigliani strove to discover his own avant garde style, and his efforts eventually gained him the patronage of Dr Paul Alexandre, who would become one of his most important collectors. His works from this time, which often recalled the Post-Impressionists and Henri de Toulouse-Lautrec, also impressed another foreign artist contemporary, Ludwig Meidner, who had arrived in Paris around the same time, with whom he struck up a friendship. Through Alexandre, Modigliani was introduced to Constantin Brancusi, and this resulted in a span of several years during which he focused upon sculpture as a medium. In his three-dimensional works, he pared back the human form, achieving forms that attained a grace and timelessness, a universality which in part owed a debt to the tribal sculptures that were becoming so influential amongst the avant garde in Paris at that time. When Augustus John visited his studio, he said that afterwards, he could not help seeing Modigliani heads in all the people around him – they were revelatory. Modigliani shared Brancusi’s preference for direct carving, for interaction with the materials; however, his history of tuberculosis meant that he was physically unable to sustain this activity and had to return, reluctantly, to painting and drawing. Despite this, more than twenty of his stone sculptures from that period were recorded. As was the case with a number of artists of his generation, the death and subsequent exhibitions of the work of Paul Cézanne had resulted in a watershed in Modigliani’s work. In addition, informed by his experiences as a sculptor, Modigliani’s depiction of the human face in particular became intensely structured, yet also increasingly universal, hinting at an understanding of the sublime. This sometimes contrasted with the earthiness of his nudes, although the pared-back depiction of the human form was common to each. The nudes in particular attracted notoriety for these qualities when they were exhibited in Modigliani’s first one-man show, held at Berthe Weill’s gallery in 1917. The police were forced to intervene due to the supposed obscenity of these naked figures, despite the fact that they continued a long tradition harking back to the Renaissance painters whose works Modigliani had seen while touring Italy with his mother in his youth. During this period, Modigliani was represented by the young dealer, Paul Guillaume; he also soon became involved with the Polish poet and émigré, Léopold Zborowski, who was his sponsor during the final years of his life. The serenity of Modigliani’s figures and portraits reached a new pinnacle after he had met and fell in love with a young art student, Jeanne Hébuterne. They attained a Mannerist character that lent them a hieratic quality, emphasising their spiritual dimension. 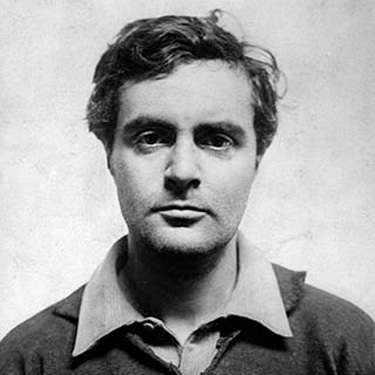 Modigliani and Jeanne had a child, also called Jeanne, a development that encouraged him to work more. However, his ill health became increasingly aggravated and, despite a period spent in the South of France to convalesce, he succumbed in early 1920. Jeanne, distraught, flung herself from a window, joining him in death, and also helping to cement Modigliani’s legendary reputation as one of the quintessential peintres maudits.